$54.99 Special Pricing for opening release. With the GREAT success of the V1 the DotCom grew in popularity like wildfire! But they didn’t stop there! They listened to the public’s begging for the same RBA, but in a 2 post design! WOW is this one SWEET! 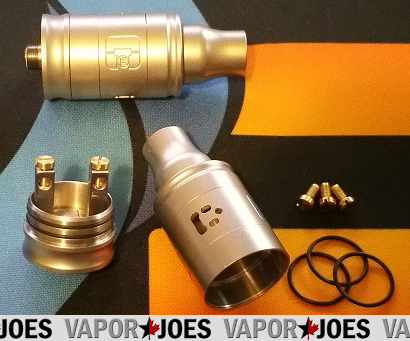 The DotCom V2 – a 2 POST DotCom RBA! We thought we were in love with the V1, but this V2… Simply put — it’s a great RDA. * Comes WITH extra O-Rings!